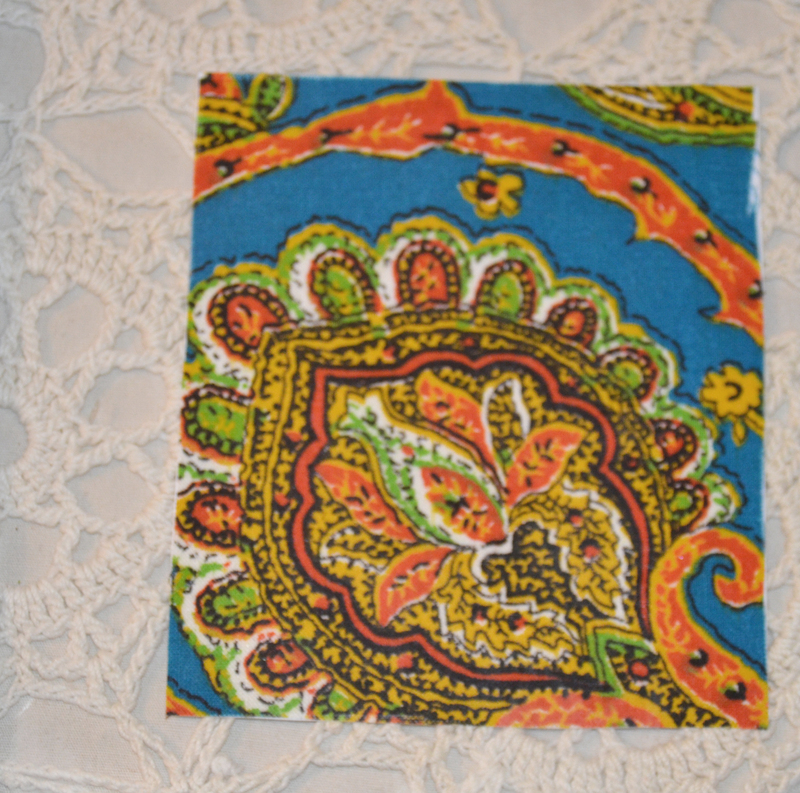 Did you ever have a piece of fabric you loved so much that you just couldn’t use it in a project? I have a piece of fabric like that from my grandmother’s stash. It’s the very last piece of the fabric, just a little larger than a mini charm. So what do you do with a piece of fabric you love that much? Display it – or at least that’s what I decided. To start the project I grabbed an old frame out of the yard sale pile. It was just a nice simple wooden frame meant to hold a 5×7″ photo. I took the back out and layered it with unbleached muslin and one of grama’s old crochet doilies. 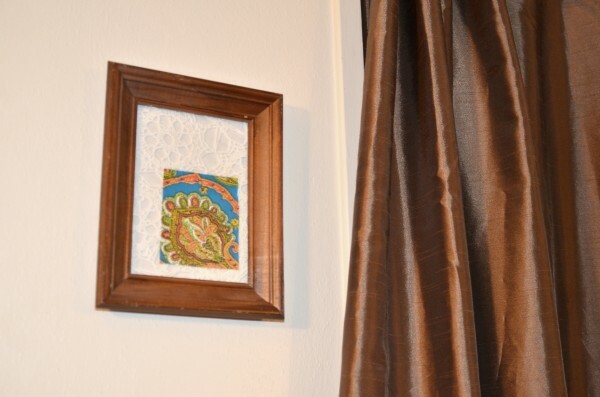 Then I took my piece of fabric and glued it to a piece of card-stock. I just used Elmer’s glue and once it dried I cut it down to size. I laid my fabric piece against the glass where I wanted it to set, and then put the covered backing back in. Once I got it in, I had to cut away the extra muslin and doily (yes, I did destroy one of grama’s old doilies – but it’s getting used, which is much better than it setting whole in the back of a closet). I love how it turned out, and I think this would be great for that special piece in your stash. Think how great this would look with a charm or layer cake sized piece of fabric in a 16×20″ frame. Love, love, love this idea. I may borrow it for gifts for my cousins.